Non teño palabras para expresar como me sentín cando sentín esta grabación que me acaba de enviar o meu queridísimo amigo Peter Curran. I have no world to express how proud I felt when I listened to this video that my very dear friend Peter Curran sent me. Peter, que fai un impresionantisimo e constante traballo analítico e informativo co seu blog e os seus videos, quixo facer unha pequena homenaxe lendo un parágrafo do meu último artigo meu blog. Peter, who does a very impressive and continuous analytical and informative job with his blog and videos, wanted to pay a wee tribute to my blog by reading a paragraph of my latest post. Galiza e o galego teñen fieis amigos en Escocia. Amigos que pola mañán saúdanme cun "Bos dias" no twitter, os que din "Graziñas" os que queren saber mais de Galiza. A todos eles, o meu recoñecemento, cariño e agradecemento. Porque tamén en Escocia, hai quen apreza o galego. Galiza and Galicians have a true friends in Scotland. Friends who say "bos dias" to me in the morning in twitter, those who say "Graziñas" and those who want to know more about Galiza. To all of them, my recognition, affection and thanks. Because in Scotland, there are people who love Galician too. It was impressive; we’re delighted that you’re speaking Galician. … and as always I think your analysis is very good. In fact, for me, I think it’s the key moment for the SNP to present themselves in England, in the Tory seats, to give them a reminder and to end with all this nonsense that the SNP support the Tories. If they presented themselves there I think they could cause them harm apart from giving the people there hope and an alternative and we’ll finally stop talking about nonsense and start to concentrate on things that really matter like austerity and all the rest. 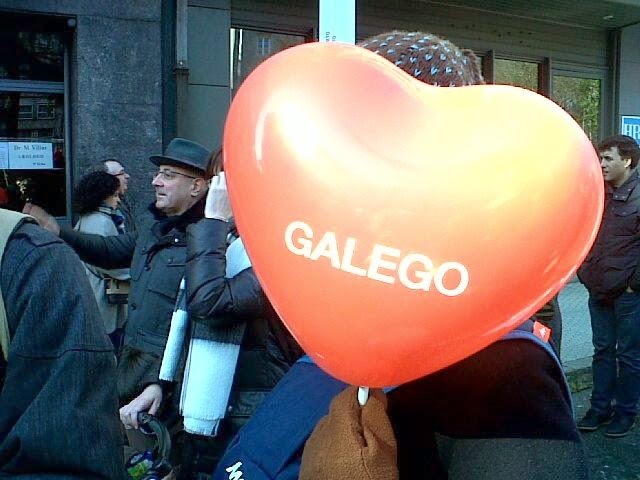 We’re very proud that you’re speaking Galician/Galego. I’m sure that you could do with a visit over here to improve your accent but you can understand everything and we really appreciate it – all Galicians! 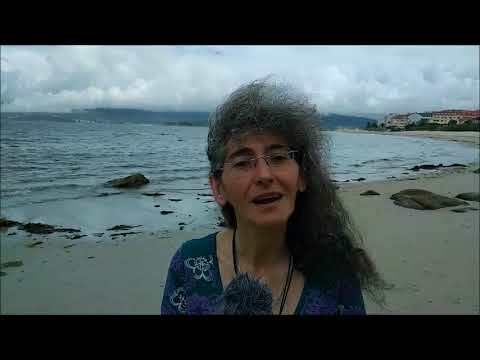 Galician for us now is a necessity more than ever as we are suffering many cuts to our language and for a video to reach us with the sound of your voice is brilliant! … really emotive.